Nearly 4,000 square meters of a market in the town of Mytishchi, near Moscow, are engulfed in flames. Firefighters were able to contain the fire, preventing it from spreading to neighboring constructions, and are now trying to put out the blaze. Locals have shared multiple photos and videos of the fire on social media. 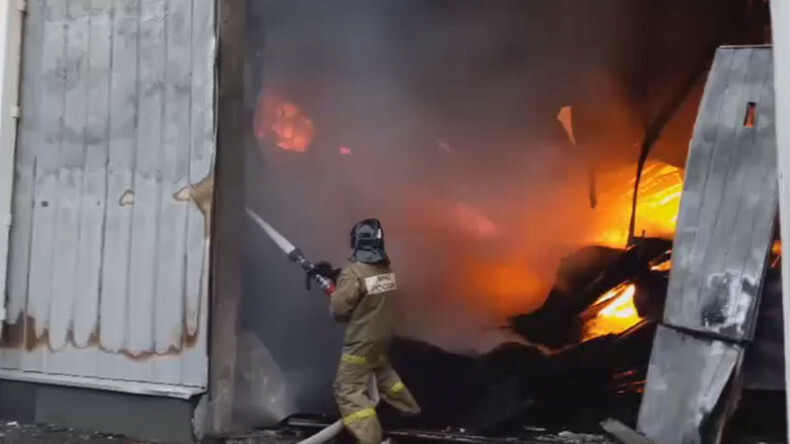 “The fire started at a warehouse located at a construction materials market in Mytishchi. According to preliminary data, linoleum was stored there,” a representative of the local emergency ministry center said, according to Interfax. Reportedly, short circuit and fire safety breach are currently being considered as the cause. There have been no reports of injuries. All staff and customers were evacuated.